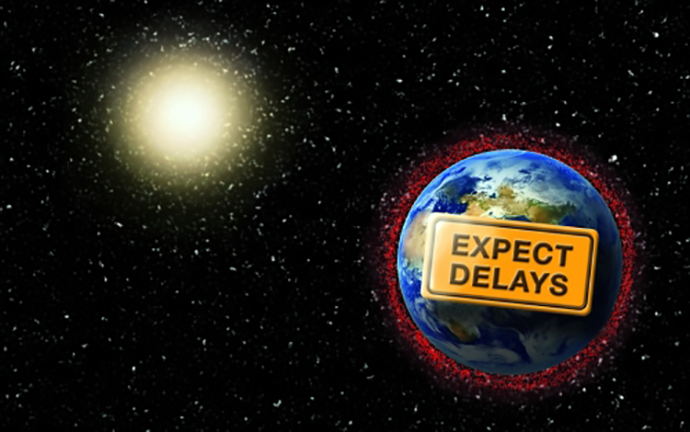 The Aerospace Corporation’s Center for Space Policy and Strategy (CSPS) has analyzed the risks that launch delays pose to large satellite constellations in a policy paper just published — Launch Uncertainty: Implications for Large Constellations. Even after receiving orbital and spectrum licenses, these proposed mega constellations risk significant delays because they must be deployed within a defined period and failure to do so has onerous consequences. Once regulatory approvals have been met, constellation operators may still face a shortfall of launch vehicles, satellites and ground systems or launch site processing issues, cancellations and flight anomalies. Dr. Grant Cates, lead author on the study, said that, currently, it seems that everyone from private industry to the national security sector to high school engineering programs wants to get more into space. This paper explores what could happen with far greater launch demand and what might be done to mitigate risks and negative impacts. A proposed constellation of 100 satellites that manages to launch only 40 by a given regulatory milestone might have to start the licensing process for the remaining 60 satellites all over again. This becomes a significant investment risk, especially for startup companies that may have limited early revenues and small capital reserves. Dr. Jamie Morin, VP of Aerospace and Executive Director of the CSPS, added that this is an exciting time for space launch. All the new players in an increasingly crowded and democratized space environment create new demand for launches. If demand for launches approaches current capacity limits, the risk of cascading delays will grow. Investors, government agencies, and other space stakeholders who rely on launch services will want to understand those risks and how to communicate them, and this paper provides a framework for that.